In order to get maximum value of your points and miles, it's important to think strategically about when and how to use them, because every program has its own strengths and weaknesses. Every situation is a little different, depending on where you live, where you want to go, what level of interest you have in premium cabins, etc, etc, etc. What follows is what works for me - and I hope you can find some pieces that are useful for your situation as well! Starwood is my primary program, primarily because I love their hotels, but also because it's the preferred program for many of my colleagues - which makes it much easier to earn and maintain elite status. I currently have Platinum status, which affords some great perks like bonus points every time I check in, extra points for every dollar I spend, free breakfast, free internet, upgrades to suites (my hit rate is pretty good here), and more. Cash and Points - all hotel categories have a special option, that's lets you redeem points for nights at a steep discount. Cash and Points redemptions require only 40% of the points normally required (50% at category 7 hotels) + a copay that varies with the hotel category. It can end up being pretty significant for a "free night" ($150 for category 6 hotels, $275 for category 7), but the combination of cash and points still presents a discount over regular redemptions, and even over 5th Night Free redemptions. Unfortunately, Cash and Points is capacity controlled, so it isn't always available. Top-Tier Hotels - Starwood has some fantastic high-end, luxury hotels. Unfortunately, many of them come with even higher-end, luxury price tags. Notice that big uptick for category 6 and 7 hotels. 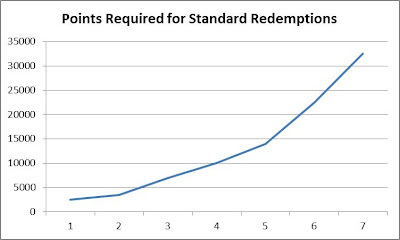 Most hotel programs have a fairly linear increase as you move up a category - and Starwood does as well, until you get to category 6, at which point it gets almost exponential, jumping from 12,000 for category 5 to 20,000 for category 6 to 30,000 for category 7 (and even more during peak season). On top of that, a number of category 7 hotels are considered "all suite" hotels, and therefore require 2x points for all redemptions. Yes - 60,000 points for a single night! Check out this page on the Starwood website for more information their various redemption options. 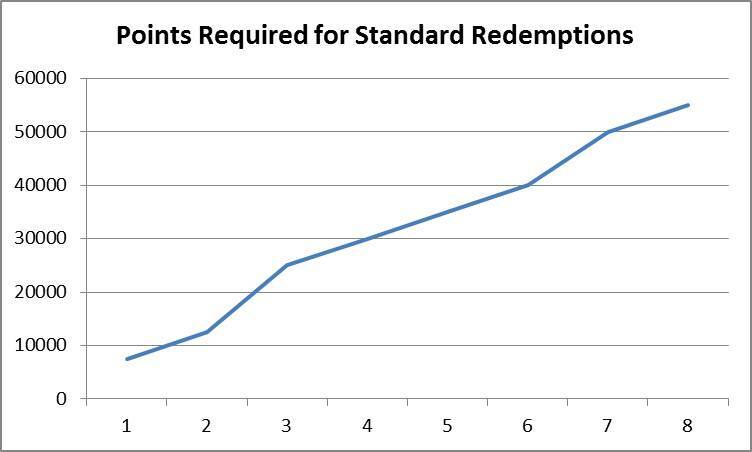 For me, the Starwood sweet spot is whenever Cash and Points is available, followed by stays of exactly 5 nights. In most places, category 4 and 5 hotels are some pretty nice places (though I look forward to visiting places in Southeast Asia where there are some really nice category 1 and 2 hotels). However, up at category 6, and especially category 7, the number of points required gets pretty sour. That's where I'll start to look for comparable hotels from other chains. I'm relatively new to Hilton, and haven't spent many nights at their hotels over the years. 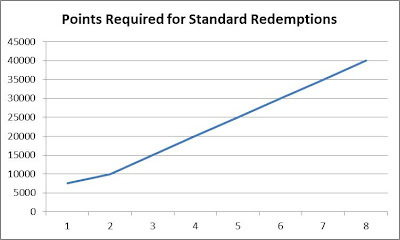 On the surface, their award chart may look like it isn't as attractive because they typically require ~3x as many points for a comparable-category hotel. However, Hilton points are much easier to acquire than Starwood points (more on that later), so on the whole it tends to even out. In addition, I've found that the structure of their program presents a great compliment to Starwood's. Multi-Night Discounts - like Starwood, Hilton offers a 20% discount on the number of points required for stays of exactly 5 nights. Unlike Starwood, Hilton also offers a discount for 4 nights, as well as discounts for 6+ nights that scale proportionately (vs. being fixed at a single free night with Starwood). These discounts are only available to Hilton elite members - but getting elite status with Hilton is actually pretty easy (more on that in a future post). For stays of 6+ nights, Hilton offers a 25% discount on the number of points required for stays at hotels in categories 3-7, as well as Waldorf Astoria properties. That compares favorably to Starwood's policy, where you only get 1 night free - regardless of whether your stay is 5 nights or 9 nights. Hilton's 25% discount is essentially 1.5 free nights for a 6 night stay, and 2 nights free with an 8 night stay. For stays of 4 nights, Hilton offers a 15% discount on the number of points required for stays at hotels in categories 3-7, as well as Waldorf Astoria properties. That compares favorably to Starwood, since their discount only kicks in at 5 nights. Additionally, Hilton has a special discount for Hilton American Express cardholders that provides an even bigger discount for category 6 and 7 hotels. For stays of exactly 4 nights, American Express cardholders can get a discount of 21.9% at a category 6 hotel, and 27.5% at a category 7 hotel. Check out this thread of FlyerTalk for a lot more information on the various different ways you can squeeze more value out of your Hilton points. There are two Starwood hotels in Bora Bora, the St. Regis Bora Bora and the Le Meridien Bora Bora. Both are category 7 hotels and both have "limited participation" in the Starwood program - they are all-suite hotels are require 2x the normal points required for their category. So 60,000 points per night. A 4 night stay would therefore require 240,000 Starwood points. 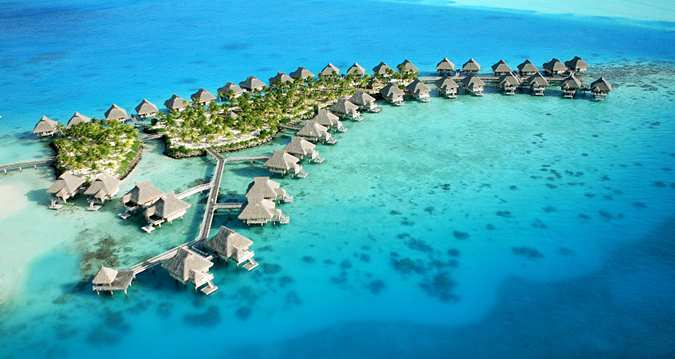 There is also a Hilton property in Bora Bora, the Hilton Bora Bora Nui. It is a category 7 hotel, and so since I have a Hilton American Express card I can get 4 rooms there for 145,000 points. 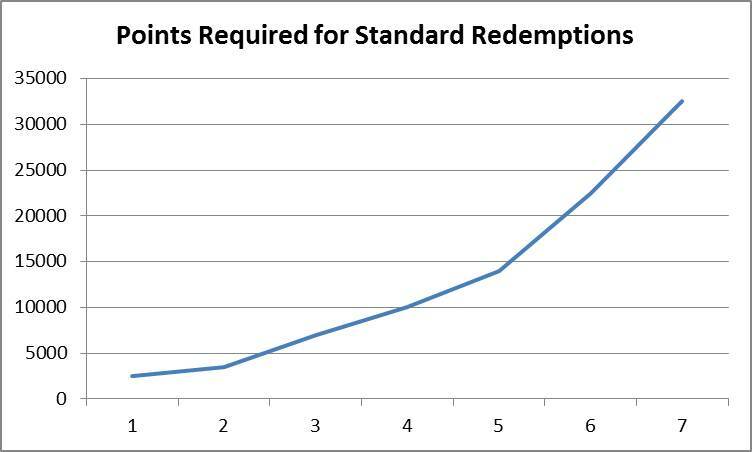 My personal valuation of Hilton points is that each one is worth ~1/3 of a Starwood point, so that works out to the equivalent of a little less than 50,000 Starwood points - less than the cost of a single night at either of the Starwood properties! I've never been to any of these hotels, so I can't say which is the best one, but I have a hard time believing the Starwood properties could possibly be amazing enough to justify the price points premium! The Hilton Bora Bora Nui - doesn't look too shabby to me! The cookie-cutter nature of Marriott hotels just doesn't excite me all. I can appreciate consistency, but I also like to stay at a place that has a bit of personality - and Marriotts rarely do. Blackouts. 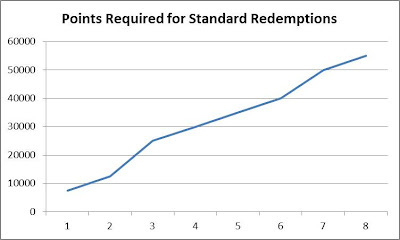 Unlike Starwood (or even Hilton for that matter), I've repeatedly found redeeming Marriott points to be quite challenging. It's not uncommon for there to be no availability at the hotel I want - and in order to use my points, I'd have to choose a different one in the next town over, or that just isn't as nice. Large number of low-category properties - Marriott has 8 different categories (vs. Starwood and Hilton's 7), as well as 5 tiers of Ritz Carlton Properties. While it has roughly the same number of properties as Hilton, Marriott tends to have many more in the lowest-level categories (see this post from Loyalty Traveler for more details on that). I tend to value Marriott points and Hilton points at roughly the same amount, so the fact that Marriotts are often lower-category is an easy tie-breaker for those single-night / airport hotel stays. Hyatt is an interesting one: on the one hand, they have a pretty low requirement for top-tier properties... on the other hand, they don't have that many properties and so the breadth of their coverage is weak. As a result, I don't really have a place for them in my portfolio - there really isn't anything I could get from Hyatt that isn't already covered by one of the other programs listed above. On top of that, it isn't nearly as easy to rack up points with Hyatt as compared to the other programs (more on that in a future post). How about you? What's your favorite hotel program, and if you use multiple - what is your strategy when it comes to deciding which points to use for a given stay? Let me know in the comments, or cast your vote off to the right side of the blog. great article, i agree with you, i also have SPG and Hilton Platinum and Gold and favor both programs over others.